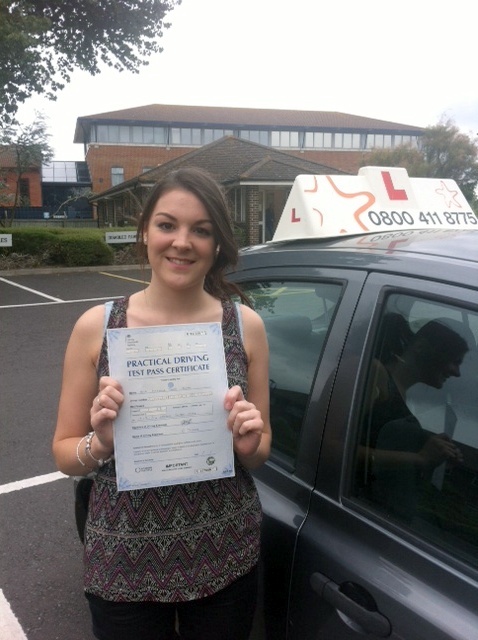 Izzi with her Practical Driving Test Pass Certificate outside Weston-super-Mare Driving Test Centre. Many congratulations to Izzi Moore from Weare who passed her Practical Driving Test first time with just 3 minors on Wednesday 11th September 2013 at Weston-Super-Mare driving test centre. All the best from your Driving Instructor Nigel Steady and all the team at Starfish Driving. Well done on a great drive, all the best for University!